I’ve been willing to talk about my progress on the GSoC project for a while, never found the time though, so I decided to do it today given my sleepy state. 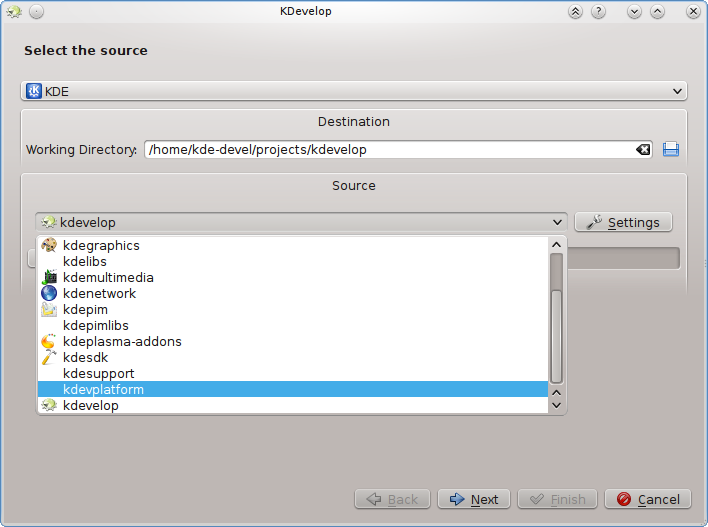 The first part that’s working (besides some little issues) is the new Import Wizard page for importing projects from the VCS locations in case it’s needed. 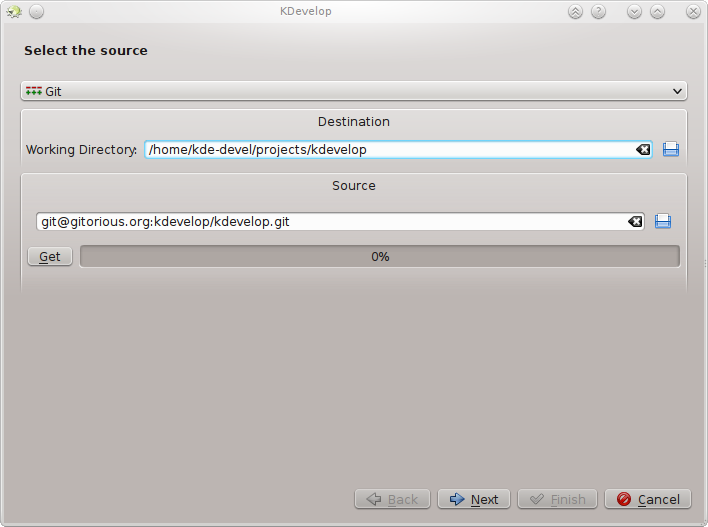 The idea is that we won’t force the user to rely on other tools than KDevelop for starting to work on a project. There are some little issues still, mostly regarding usability but that will be addressed in the future. If anyone is interested on improvements or further development please contact us on our mailing list, stop me at Akademy or any other non violent and friendly way :D.
1. 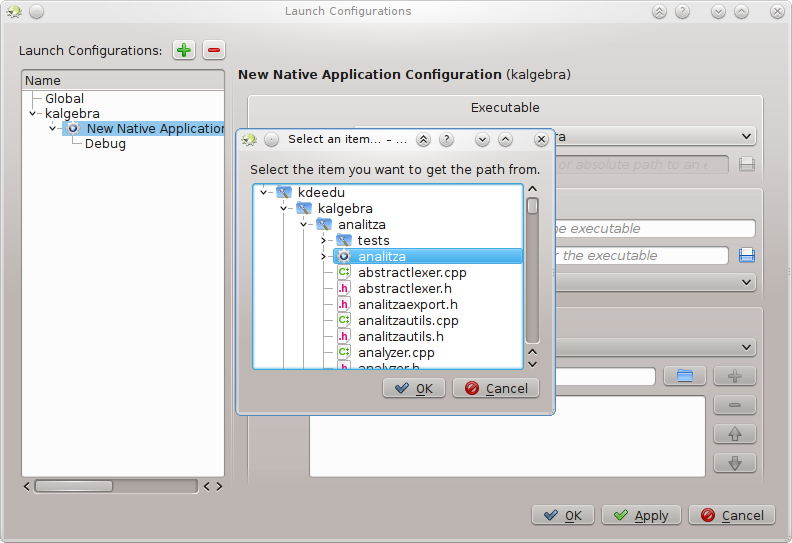 New Native Application Configuration in the list. 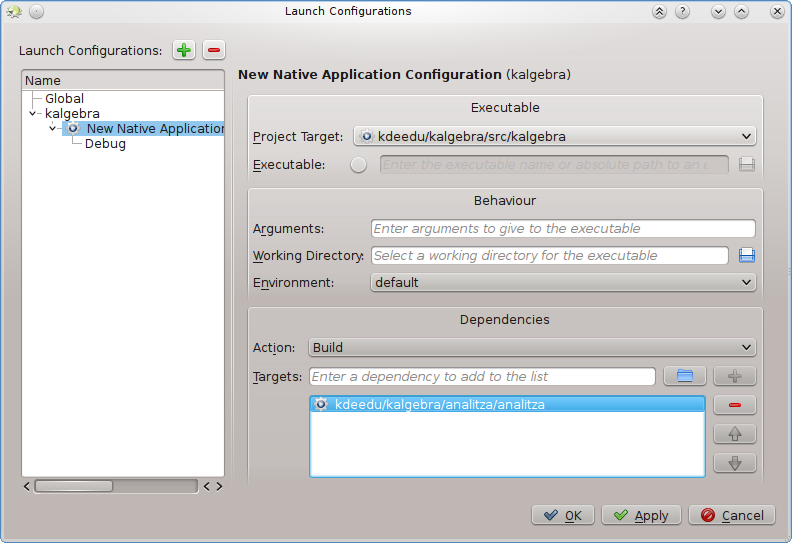 Don’t you think it should have a default name that says something about the target being debugged? 2. There is definitely no space in the list to fit all information in it. Maybe enlarge dialog? 3. Is there a sense in the icon of configuration? I think it just wastes list space.